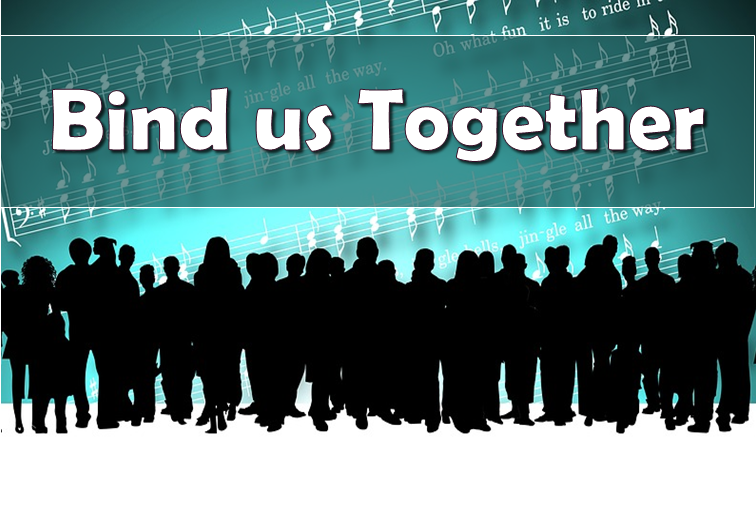 This song of petition for unity was written by Bob Gillman (B 1946) in 1974, and first published by Thankyou Music in 1977. It is based on Colossians 3:14. With irregular meter, it is set to the tune which Gillman wrote for the song. This has a 3/4 time signature, and in the key of D the first few notes are F FF F E D.
It has crossed denomination boundaries, and been published in Catholic, Anglican, Methodist, Baptist and many other hymn-books in both the UK and US. 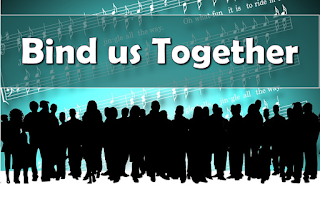 Arrangements available include piano and handbell.